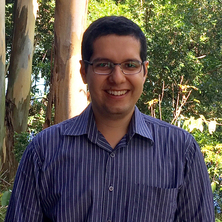 Ayrton is completing a Post-Doc through The University of Queensland’s Energi Simulation Industrial Chair in Unconventional Onshore Gas Reservoir Modelling. The research chair is held by Professor Suzanne Hurter and is based at The University of Queensland Centre for Coal Seam Gas (UQ-CCSG). Ayrton’s research interests include reservoir simulation, reactive transport (dissolution of minerals), CO2 EOR and Storage, and multiphase flow in fractured media. Ayrton recently completed a PhD in Petroleum Engineering (dual degree between Heriot-Watt University and UFPE). His research topic was Modelling of Geochemical Reactions during CO2 WAG Injection in Carbonate Reservoirs. Ribeiro, Ayrton S., Silva, Duarte, Mackay, Eric J. and Sorbie, Ken (2017). The impact of vapor/liquid-equilibria calculations on scale-prediction modeling. In: SPE International Oilfield Scale Conference and Exhibition, Aberdeen, Scotland, United Kingdom, (64-72). 11-12 May 2016.